This time last year, I had decided to take the leap and return to UCD School of Library Studies, after more years than I care to remember. In ‘my day’ it was called DepLis, headed up by Professor Mary Burke - today, the Department is called SILS, with Professor Diane Sonnenwald at the helm. I was taking up the opportunity to convert my Diploma in Library and Information Studies into an MLIS. Librarians such as myself who hold the old DipLis can now convert it into an MLIS. Attendance was part-time, one afternoon per week and consisted of completing two modules and the submission of a Capstone Project (thesis). On my first day I arrived at the old library school department expecting my lecture to be there, only to find that it was in the Engineering Building. This was my first inkling that things were now very different. What used to be a class of a maximum of 39 was now over 90 students, a mix of full and part-time, conversion students and newbies. I arrived breathless, nervous (and late!) into the huge lecture theatre, to be met by the wonderfully warm and enthusiastic lecturer, Kalpana Shankar. Kalpana’s lectures proved to be an absolute treat, engaging, thought provoking, bringing me gently back into the academic world after a long absence. Kalpana’s door was always open to any query, no matter how big or small and I found her enthusiasm for the course contagious. The next semester with Norman Makoto Su‘s Research Methods II module was much more technical and analytical, and although initially very challenging, this module proved to be invaluable to the later capstone work. The Capstone Project is the core of the MLIS and I was very fortunate to be able to find a topic, Information Literacy, which matched my interests and work experience. Throughout the Capstone Project, myself and my team colleagues were consistently met with encouragement, courtesy and enthusiasm from the library/information professional we met in the course of our research. Even when we finished and submitted, we were receiving emails from our contributors. The whole experience underlined for me what a strong and supportive community exists amongst librarians. Returning to education is never easy, particularly when you are working, but from my personal experience, despite a few thrills and spills along the way, I’d heartily recommend it . Kicking off on Tuesday, October 23rd and running to Thursday October 25th 2012 this conference was jointly organized by the two major digital humanities national infrastructures (the DRI and the DHO), and the largest semantic web research Institute (DERI), together with a large-scale European digital infrastructure for the Arts and Humanities (DARIAH). The venues were in Croke Park in Dublin and at NUI Maynooth. The goal of the event was to engage academia, industry, cultural institutions and public bodies to identify the key research challenges in digital humanities, and to further build the academic-industry partnerships that will enable adoption of digital humanities skills, technologies and tools. 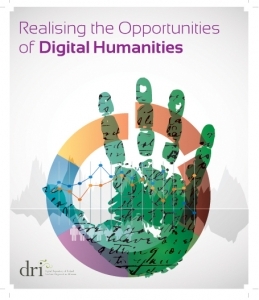 The impact of digital humanities technologies in the public sector demonstrating social benefit was explored in particular the project of digitization of the Irish census and the use of open linked public data. The HEANet provided live streaming of the event so if you were unable to attend you can still view the fantastic presentation here. I was only able to attend the conference on Tuesday and some of the highlights for me was when Sandra Collins, Director of the Digital Repository of Ireland, Royal Irish Academy announced the launch of the publication Digital archiving in Ireland: national survey of the humanities and social sciences authored by Aileen Carroll and Sharon Webb. The speakers on the day were varied and interesting (see the program line up here). Curtis Wong, Principal Researcher, Microsoft Research who has 25 years experience in the field of Digital Humanities presented a series of online demonstrations of a number of projects undertaken at Microsoft including the use of Rich Interactive Narratives. Jon Purday, Senior Communications Advisor Europeana gave a fascinating demonstration of all the resources available on the website but also highlighted the social networking access to Europeana via Facebook and Pinterest. Fiona Ross, Director of the National Library of Ireland focused on the challenges involved in developing Digital Humanities. She gave a practical and thought provoking presentation. Fiona highlighted the different areas of research and the support the National Library provides to the research/third level sector. The National Library provided three bursaries to students in the Masters in Digital Humanities & Culture course at Trinity College Dublin and provided access to the Mary Martin Diary which was used to develop an online Digital Scholarly Edition. The original diary is held at the National Library of Ireland. The diary is searchable for specific people and places, and can be read chronologically, or by a specific entry. As part of the program at the seminar there were a number of demonstrators and one project was the Mary Martin Diary. A Family at War: Mary Martin’s Diary, 1 January – 25 May 1916 is an online scholarly edition of the Diary of Mary Martin, a widow and mother of twelve children, living in the affluent Dublin suburb of Monkstown. Mary wrote the diary to her son Charlie, a soldier with the Royal Dublin Fusiliers who went missing in action on the Salonika front, in the hope that one day he would return home and be able to read it. Set against the backdrop of the Easter Rising and the First World War, the diary chronicles the daily activities of Mary, her family, friends and relatives. I was part of the project team involved in the development of the on line Digital Scholarly Edition of the Diary. Other team members were Sineád Moloney, Rachel Murphy, Gordon O’Sullivan and Patrizia Rebulla. We were students enrolled in the MPhil in Digital Humanities and Culture and PhD in Digital Arts and Humanities (DAH) taught by Susan Schreibman, Trinity College Dublin, Spring 2012. The online edition is a fascinating source for anyone interested in Irish history, military history, women’s history and genealogy. The Diary includes 132 diary entries that were recorded from January 1- May 25, 1916. Each of these entries has been transcribed and compiled into a searchable database. The seminar was an exciting and interesting event to attend and participate in. The Digital Repository of Ireland staff did a fantastic job of planning, organizing and supporting the event. Colleagues who were lucky to attend the events of the conference yesterday and today have reported equally positive experiences. In recent times post-publication peer review (P3R) has come to mean many different things. If traditional peer-review represents a 'filter then publish' approach, P3R comes in two flavours: 'publish then filter' (primary P3R) or 'filter then publish then filter' where peer review still takes place prior to publication (secondary P3R). In the traditional print journal space, we think of P3R as the correspondence and letters that appear after articles are published. Within the health sciences and other disciplines, it can be scaled up to the comprehensive rigour of systematic reviews and meta-analyses. At the opposite extreme, in the fluidity of the digital world it has come to mean comments, discussion and filtering through various social media channels, or more formalised structures such as Faculty of 1000. This is where the concept of authoritative objective review starts to become separated from what is essentially just uncoordinated dialogue and discussion (and in many cases, noise). And yet, there is potentially great value in this conversation, just as there is in the private correspondence between two researchers. When research is published it represents the germination of an idea, and one which will ultimately be shaped and refined over time by both the original author and the wider research community. The difference with P3R compared to pre-publication review however, is that in theory anyone (in an open access environment at any rate) can self-appoint themselves as a reviewer. What does 'reviewer' even mean anymore? You can't argue with Science, right? In this context, opening up the review process may spark concerns over quality control; after all how do we know whose opinion we can trust? Of late, there have been several high profile examples of 'experts' doctoring data. This is why open data sharing and archiving is so important, so that results can be independently reproduced and validated (or not as the case may be). Indeed the idea of tracking replicability as a method of post-publication evaluation is the idea behind the Reproducability Initiative, launched recently by PLoS, figshare and the commercial enterprise ScienceExchange. But not every discipline or subject lends itself so easily to the scientific rigour of a lab, not to mention the costs that would be involved if every study were to be re-tested. This is why it makes sense to transfer part of the burden of review to a wider post-publication network in an open way. Looking at LIS in particular, evidence summaries (critical appraisals of recently published research) are a regular feature in Evidence Based Library and Information Practice. Kloda et al. (2011)* find that these summaries often reveal more weaknesses than strengths, and building a culture of open public review in this way may help to improve the overall quality of research within the profession. P3R can also add value in other ways, for example by assessing the implications for practice rather than simply evaluating purely theoretical or methodological issues. But whilst the research community in general may be interested in the value of P3R, are individual researchers? Several examples illustrate that article-commenting has generally failed to take hold in spite of many publishers' efforts to drive this activity online. Indeed, relying on this model alone, it is likely that a significant proportion of papers would attract no comments, reviews or discussion at all. At the moment there is no real incentive for individuals to contribute their time, even if it will benefit society as a whole. 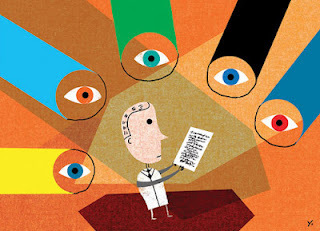 Over time, traditional pre-publication peer review has proven itself to be relatively effective - even if inefficient - at what it is designed to do. Right now P3R can still play a valuable complementary role by supporting continuous dialogue and appraisal in an open way. Going forward, the structure and format of P3R can also be refined to help address some of its shortcomings (transparency; the authority of reviewers; incentive effects), for example by adding structured metadata to reviews or awarding some form of CPD credits to reviewers. Ultimately however, we all must share the responsibility to critically assess and evaluate what we read, and opening up access to this discussion - through whatever channel - can only be a good thing. *Kloda, L.A., Koufogiannakis, D., & Mallan, K. Transferring evidence into practice: what evidence summaries of library and information studies research tell practitioners, 2011. In Information Research. (Published) [Journal Article (On-line/Unpaginated)]. To celebrate the new LAI Career Development Group (#LAICDG), we will be running a special #irelibchat Twitter chat on career development issues on Wednesday November 7th at 8pm. The Twitter chat will provide an opportunity to discuss issues surrounding employment and careers in LIS, and also for those interested in joining the new group to connect and introduce themselves informally and share ideas for future events and activities. There is no formal agenda as such, but the topics below may help to generate some discussion. Just come along on the night and bring your ideas and your #irelibchat hashtag! How easy is it to change sectors? Last week I attended the three-day Preservation and Archiving Special Interest Group (PASIG) conference held at the Gresham Hotel in Dublin and organised in collaboration with UCD Library. I suspect there weren’t many librarians at it and I often felt out of my depth listening to the talks and presentations because I (as a librarian in a relatively small-scale art institution) was not the main target audience. However, this didn’t stop me from enjoying a very well organised three-day brain-picking event. I feel I have in fact expanded my horizons ‘big time’! I’m not a great fan of stereotyped phrases, but I believe that thinking outside the box when we go about our professional development is both necessary and enriching. I chose to participate to the PASIG conference because its themes are so relevant and yet obscure to me: digital preservation and archiving. In the vast panorama of digital-related topics, digital preservation is THE area that needs to become crystal clear to all involved in the library and information sciences sector. Digital products have a limited shelf life and can quickly become obsolete, corrupted, unusable… in other words useless. Of course this is something that is presently more discussed in fields such as health, law, government, academic and research, where the preservation and security of data are crucial for the safeguarding of people’s privacy and the provision of core information services. Nonetheless, even in less sensitive and relatively small-data driven fields such as the heritage and cultural ones, we should considerably care about the preservation and integrity of the data we produce, collect and care about - even the data we don’t care about right now, since we cannot anticipate the value that it might gain in the future. This conference was a well-balanced showcase of advancements in the field of digital preservation, ongoing projects and solution-based approaches to the main issues faced by practitioners of digital archiving. These include long-term preservation issues, storage challenges, preservation of audio-visual media and best practices in archival workflows. Digital preservation is a key component of any archival workflow. It was agreed that it pays off to follow established best practices, use standard formats, prefer open source solutions to proprietary ones, opt for self-healing archival systems that don’t just store data, but systematically check and fix the data corruption that is bound to happen in time. One of the most interesting sessions was a point and counter-point discussion on cloud-based preservation solutions, and advice on cost modeling for archiving was also touched on. Many academic institutions, mainly from the UK and US, presented projects and tools they have been working on, such as the London School of Economics’ Dice project; the University of Southampton IT Innovation Centre’s PrestoPrime consortium; the University of Oxford/JISC’s DaMaRo project. I found the talk by Thomas Ledoux of the Bibliotheque Nationale de France on their digital archiving model SPAR particularly relevant. There was also an interesting mix of corporate vendors showcasing their dedication to archival preservation and exhibiting their ever-improved systems for digital archiving such as Tessella’s Preservica, Duraspace’s DuraCloud, Arkivum’s A-Stor and Oracle’s tiered storage solutions. The main US and European stakeholders, such as the Digital Preservation Coalition, the Digital Preservation Network, the Open Planets Foundation, the UK Data Archive, the PrestoCentre foundation, together with our Irish representatives such as the Digital Repository of Ireland and the National Education and Research network HEAnet, were also there, engaging the audience in very informed and talks. To say that it was a steep learning curve for me is an understatement. Every day I brought home with me some very funky words, which are so core to the digital preservation and archiving community: checksum, fixity, OAIS, obsolescence, Linear Tape Storage System, DROID, PRONOM. 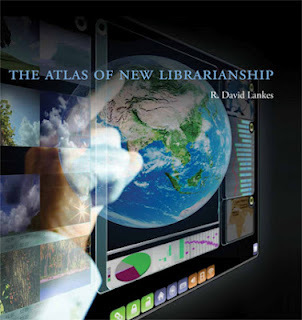 It is a fascinating and ever-changing area of study and practice which librarians should be massively involved in . If you’re intrigued by all this and would like to know more in detail what was discussed at the conference, you can have a look at this Storify resource I compiled with all the #pasig and #pasig2012 tweets written over those three days. Many links to resources and projects were posted there so do check it out. 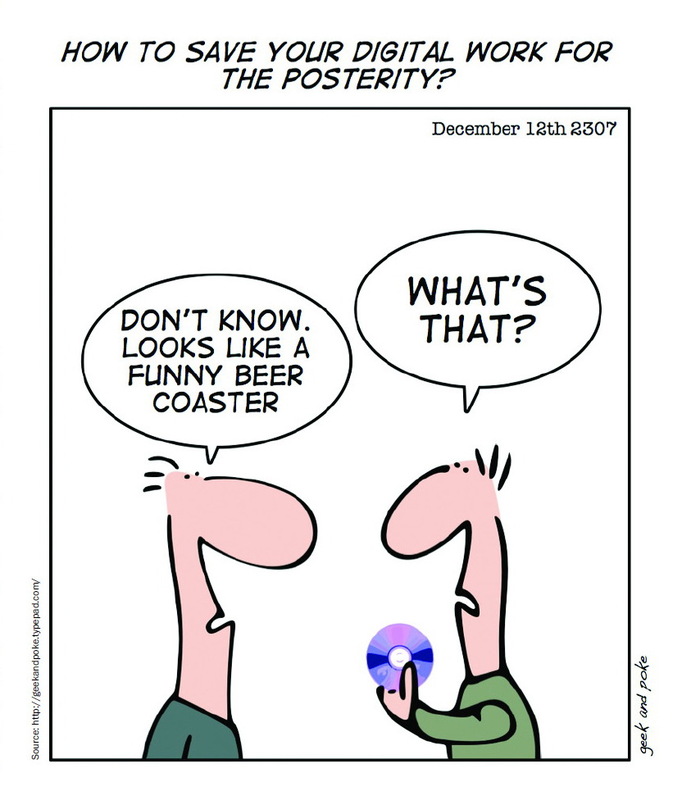 Maybe as librarians we don’t need to worry about how we validate the fixity of formats in the archival ecosystem (yet! 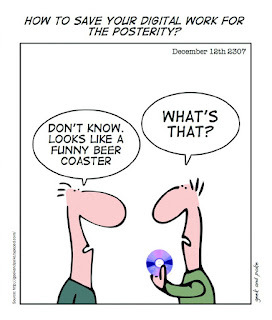 ), but we can certainly cultivate an awareness of digital preservation, starting from some library-oriented resources such as the Library of Congress’ Digital Preservation page or the Europeana Newspapers/LIBER presentation ‘Positioning libraries in the digital preservation landscape’. David Haynes delivered a one-day workshop last week on behalf of the LAICMG on how to go about organising and classifying information. The day was structured around taxonomic theory, classification and metadata, development of controlled vocabulary and a brief overview of taxonomy software tools. Practical examples and hands-on exercises throughout the day created a rounded training experience. explaining the so-called "sexual system" of plants. The term taxonomy requires clarification. Essentially, a taxonomy represents a hierarchy of items based on shared characteristics that are internal to them. A prominent example would be the Linnaean taxonomy of rank-based biological classification. A more pertinent rendition for our purposes here would be something like ‘a systematic way of organising knowledge, providing a hierarchical structure of concepts, using terms that help in the development of a common language to aid knowledge sharing’ (Wylli in Raschen, 2005). Taxonomies organise unstructured entities (living organisms, documents, webpages, artefacts, concepts and ideas etc.) and their contents into categories with the aim of being meaningful to information seekers. Likewise, the terms ‘classification’ and ‘ontology’ need qualifying too as they are closely related and tend to confuse. Merriam-Webster describes ‘classification’ as systematic arrangement in groups or categories according to established criteria. An example here would be the separation of animals in the classes tasty, edible and not edible. ‘Ontology’, on the other hand, is a higher order concept and branch of metaphysics concerned with the nature and relations of being or a particular theory about the nature of being or the kinds of existents. For a qualifying characterisation of the terms ontology, taxonomy and classification and their respective differences, see van Rees. What are the benefits of creating taxonomies? The training showcased some interesting taxonomy examples, such as the Tree of Life Web Project and reflected upon common approaches to classification (DDC, faceted classification, Colon classification). The idea of metadata was discussed, including Dublin Core as a common metadata standard within the context of describing Web resources. The importance of deploying controlled languages as a means to achieving greater precision in the description of information resources and more comprehensive retrieval was also discussed in detail. The merits of software tools for taxonomy development were also considered: automation of routine and clerical tasks, coordination of multiple contributors, keeping track of individual terms, keeping track of relationships between terms, ability to represent taxonomy/vocabulary in different formats and facilitating upkeep and maintenance of your taxonomy. All the same, an appraisal of common software tools and specific usage examples would have greatly enhanced this part of the training. Check out this survey on taxonomy building tools, which considers software that is readily available and variably useful for the design process. This excellent presentation on metadata is helpful too as it discusses the different types of metadata in great detail including relevant examples. Finally, David kindly gave me permission to share his taxonomy resource list and 7-steps to development of a classification scheme. Whilst Academic and Professional Publishing has emerged from today's context of changing technologies, increasing journal costs and the move towards open access, Robert Campbell’s opening historical overview demonstrates that such unrest has been a feature of publishing for some time now. Even as far back as 1927, it was noted that “librarians are suffering because of the increasing volume of publications and rapidly rising prices”. Evolution in scholarly publishing is clearly not new; so why is it only now that it has managed to pierce the mainstream so pervasively? Perhaps because the sector has recently entered a new phase - what Campbell terms “re-invention” - precipitated by an unprecedented swathe of new technologies, platforms and business models, and this idea serves as a recurrent motif throughout the rest of the book. In any book about academic publishing, the reader should expect some strong opinions concerning the routes to, and sustainability of, open access, but this is definitely not an Us vs Them (that is, Publishers vs Academics/Librarians) treatise. Indeed such discussions only represent a very small fraction of the book; instead the text deals with the full range of aspects involved in the scholarly publishing chain - from authorship and editorial processes through to research impact and the user experience, passing through the technical, legal and financial complexities along the way. Whilst a proportion of the chapters are contributed by commercial publishers such as Wiley and Elsevier, there are also other perspectives presented including freelance consultants and those working across the wider academic and research community. Every chapter offers value to the reader, but there are some highlights in particular. Irene Hames delivers a fascinating insight into the peer review process: how it works; what constitutes best practice; emerging models; and the key role played by the editor. Hames’ intelligent arguments weigh up both sides of the debate, ultimately concluding that many of the problems or criticisms directed at peer review can be traced back to the variable qualities and lack of standardisation across journals, as well as common misconceptions (for instance, many assume high impact journals offer a better quality of peer review which is not necessarily the case). Michael Jubb’s discussion of the scholarly ecosystem reveals some interesting lessons for those in the information profession, citing evidence that many researchers have a limited awareness of the range of information resources available to them, and instead tend to remain loyal to a few key sources that they trust or find easy to use, largely supplemented by advice from colleagues. John S. Haynes’ contribution manages to provide a concise overview of the various journal publishing business models and the implications of each – the traditional reader pays model, pay-per-view rentals, author charges and hybrid open access options. Keith Webster’s chapter highlights the evolving role of libraries in particular, including the shift towards digital collections and fourth-generation libraries centred on the ‘learning experience’, open access issues and the emergence of changing access points for users. Michael Mabe attempts to answer the obvious, if unspoken, question “Does journal publishing have a future?”. Unsurprisingly, the answer is not very clear-cut, concluding with “Yes, probably…” (there is also a “but” in there somewhere!) – reflective of both the future uncertainties, as well as complex relationships and intricacies inherent in the publishing industry. At around 500 pages, the editors have skillfully succeeded in curating a comprehensive assessment of the academic publishing sector today, and one that is both respectful of its past traditions as well as cognisant of future threats and opportunities. By managing to incorporate valuable industry insight into technical aspects such as publishing standards, licensing and workflows, as well as more policy-oriented discussions germane to the broader research sector, the book should garner a wide readership. Such strengths will no doubt allow Academic and Professional Publishing to position itself as an essential text for anyone interested in the scholarly publishing environment. Academic and Professional Publishing is published by Chandos, September 2012, 510 p., £60. TCD's bibliographic management department is in the process of embracing RDA in replacement of AACR2. John McManus has kindly shared some useful training resources, which might be of interest to you. As you know on March 31st 2013 the British library, the Library of Congress, and many other institutions will adopt RDA as their cataloguing content standard. This will result in a massive increase in the number of RDA records in circulation and will present issues for all us, regardless of whether our own libraries switch to using RDA. In anticipation of that I thought it worthwhile flagging three RDA training resources you might find useful. If you are looking for company as you learn RDA please join us and post any comments/questions you might have. I will be publishing weekly updates with advice about the best way to navigate the training materials. I urge you register as they have also negotiated a training subscription to the RDA Toolkit for all participants. The ALA is actually very open to setting up training subscriptions and it is also something you can do on an individual basis. Lastly, remember that March 31st is not a deadline – the cataloguing world will not suddenly en masse adopt RDA. We have always worked in a hybrid environment and will continue to do so for the forseeable future. However, as cataloguers we can still focus on updating our own skill set as we wait for institutional buy-in and support. In the meantime – happy cataloguing! Submissions should be a maximum of 300 words. Deadline: Tuesday 23rd October 2012. Email submissions to: aslsectionevents@gmail.com (Please include A&SL Annual Seminar Submissions in the subject line). Successful submissions will be notified by Tuesday 6th November 2012. Submissions welcome from within the island of Ireland. Case studies should be practically based and no longer than 20 mins with 10 mins for questions. Presenters will be required to participate in a panel Q&A. We are particularly seeking submissions from solo librarians and librarians working in small organisations/institutions. Case studies may be at any stage of completion. Themes (please note these are suggested themes and the list below is not intended to be comprehensive).